The Shadow Types system identifies 12 innate tendencies that we all have. Our personality results from which of these tendencies we favor and which ones we avoid. 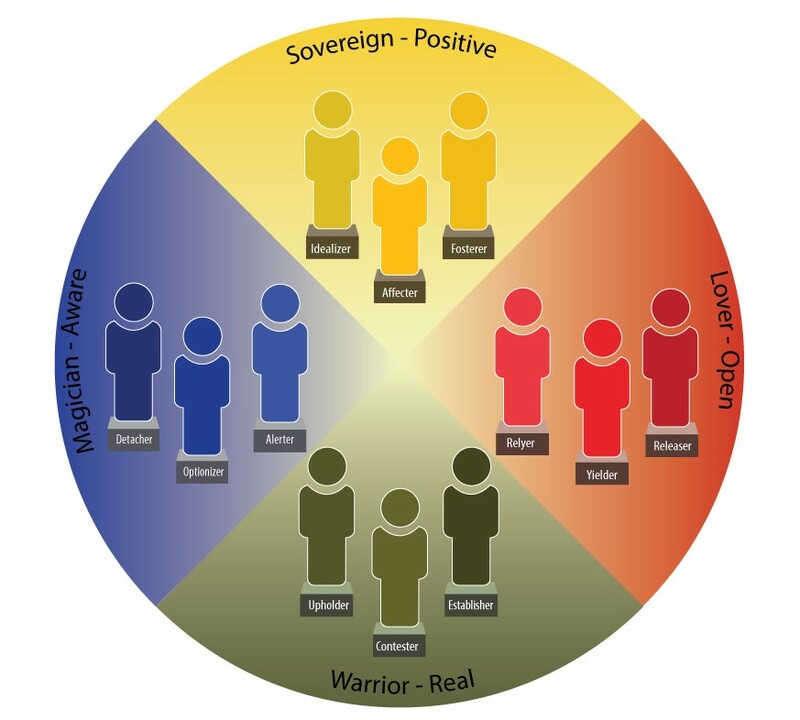 The Shadow Types survey gives you a profile of your own, unique combination of these tendencies as well as your dominant Shadow Type. The Shadow Types system opens your eyes to look at people in a way you’ve never seen them before. You will recognize common patterns of acting and reacting that different kinds of people have. You will understand what someone’s basic approach to life is and how best to connect with them. You will also be aware of other peoples’ shadows—as well as your own—and you’ll be know how best to handle those shadowy parts so that they don’t throw you off balance. The result? You gain freedom. Freedom to create what you want for yourself rather than instead of reacting unconsciously in a knee-jerk way out of habit and recreating what you don’t want. Freedom to relate to others more meaningfully, more intimately, more lovingly. In short: Knowledge of the Shadow Types broadens your choices about how you live your life and how you relate to other people. Click Here to find out more about the Twelve Shadow Types To identify your Shadow Type and learn more about the Shadow Types system attend one of our Shadow Types Workshops. What can Shadow Types do for YOU? Are you in a profession that strives to help other people get a handle on their stress-based patterns and become more of the person they want to be? Maybe you are a therapist, coach, facilitator, or group leader. If this is you, click HERE. Are you someone who seeks deep, inner transformation and self-understanding? If this is you, click HERE. Are you looking to understand people better and connect with them more easily and deeply? If this is you, click HERE. Copyright © 2019 Shadowwork Seminars. All Rights Reserved.